For Car Detailing in the North Coast search listings for Car Detailing Murwillumbah, Car Detailing Ballina, Car Detailing Lismore, Car Detailing Byron Bay, Car Detailing Tweed Heads. 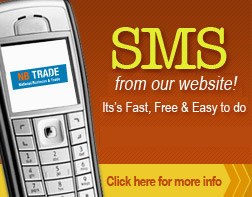 Nbtrade.com.au has listings covered for the Gold Coast; Palm Beach, Broadbeach, Surfers Paradise. Our service provides a sufficient way to search a large range of premium car detailing services. If you have specific car detailing needs for your car or boat we make it easy to find the right car detailing service for you. . Save time and money with mobile car detailing who conveniently come to you. Washing your car is an annoying chore, and can take up lots of your precious time and energy... especially if you want to do it right. It makes a lot more sense to hire the services of a mobile car detailing specialist. Search your local and surrounding areas and find a Car Detailing Service to come to your work or home. Search Listings to find a price that is affordable for you. Services offered from most of our listings are vacuuming and shampooing seats to carpet, sanitizing seats and carpet, stain and spot removal, cleaning console, glove box, ashtrays, steering wheel, cleaning and shining dashboard, door sills and seals, door inserts, odour removal, spot clean, roof lining, vinyl treatment, leather wiped over, apply interior air-freshener etc. With an aim to provide their customers affordable mobile car detailing service and giving focus on quality and customer satisfaction. Find a car detailer specializing in your make and model of car. Listings will offer a supreme professional service that will cure and rejuvenate everything from dull, oxidized, contaminated and neglected paintwork. Surface scratches, swirling, hologram (hazing reflection type puddles seen in reflection) and scuffing can. So if you’re looking for Car detailing on the North Coast, Gold Coast and Nationwide You will find one on nbtrade.com.au.